Be it one's office or home, everyone wants it to look its best and for that purpose getting some kind of help is at times quite necessary. If one has already made up his mind to completely change the look of any of their space like home or office, then one should find an interior design company which not only renovate the space but also keep in mind the kind of look the client wishes to have in his space. 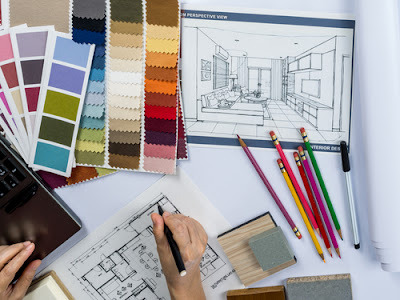 Narrowing the field One can find out companies which offer full-fledged services right from designing to buying the furniture to taking care of the budgets to paints, in short, every little thing that goes into interior designing. Also, one can look for companies which provide single services like changing just the theme of one's place or furniture. One also needs to search for companies which honor their clients' opinion and also keep in mind the budget for the services you require. Prior Experience Even though there are several numbers of interior design companies to choose from, one needs to ensure that the company being opted for has worked in your required area of service. For instance, one cannot opt for a company which specializes in designing a corporate office for designing a home. Thus, it is important that not just the number of years of experience of the designer matters, but also the area in which that experience is. Following are a few mind-blowing ideas that will instantly enhance your home interiors. Let's take a look at them. Cool Stair Storage- You can smartly add storage in the empty spaces behind the staircase in your home. Include a set of drawers with several shelves inside to hold books, rugs, spare quilts, winter clothes, craft and stationery items and more. These hidden storage areas make more room in the house and are also a convenient way to store stuff. This can be a great addition to your home's interior design. Ping Pong Door- If you are a fan of ping pong, then this door is a must-have in your home interiors. This door looks like a normal door with a ping pong table design on it. However, when you open it, it transforms into this cool ping pong table with a diving net in the centre. How cool is that! Strategic Herb Garden- Place a strategically designed vertical herb garden in your kitchen. The size is so compact hat it can be fitted in any corner of the kitchen. Also, a herb garden is essential as it provides a fresh supply of herbs. It looks classy, fits in less space, and instantly enlivens the interior decoration of your kitchen. Hammock Bed- If you are a bachelor, this bed is your dream come true. A fairly large bed spread out and hanging like a hammock with tons of cushion on it. This is the perfect way to relax after a long tiring day. The momentum of the hammock will help you rock yourself to sleep or let you chill with a chilled beer over the weekend. Pool Inside & Out- Get yourself a lavish pool that has a part in the interior of the house and the other that stretches out to the exterior of the house. This two-in-one kind of pool is certainly a delight to have as a part of your home's interior design. These quirky and fun interior design ideas are a great way to revamp your existing home. You can choose the things that will go perfectly with the size of your home. In your search for a home interior design firm, there are a number of factors that you need to look into before making the big jump. Choosing the right team of experts is vital if you want to achieve a living space that suits your requirements. 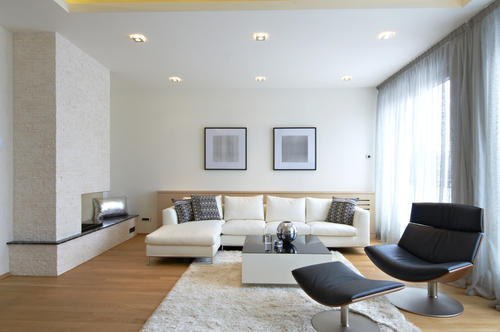 In order to make the best selection of interior design company, consider hiring locally. Take the time to peruse all the resources that are available to you online. Shortlisting means putting in four to six names onto a list and sitting down to browse each of these companies' websites. Browsing the websites of these designers allow the homeowner to develop an idea about what services would best suit his needs. Peruse the company's portfolio and review each of their past projects. Find the projects that show similar styles as those that you would like to use in your home. Not all interior design companies specialize in residential projects, there are those that primarily work on corporate or commercial projects so find the ones that have relevant experience. Ask for their previous clients' numbers then get in touch with most of them. An interior designer must take your ideas seriously, otherwise, you are dealing with a headstrong expert who will only give you headaches. Before signing any contracts, make sure that you establish a line of communication with the interior designer. Be open about your need to discuss the project and the possibility of making some changes every now and then. Find the professionals that will be able to provide a cost-efficient service. The sad thing about home renovation is that many homeowners never get to do it. The reason is pretty simple - they cannot afford it. A lot of homeowners dread the high prices that come with interior design. Yet there are many methods available to make interior design affordable. You can install wallpapers, drapes, new curtains or have new paint applied; buy new yet affordable furniture pieces; or you can choose to rearrange your existing furniture. 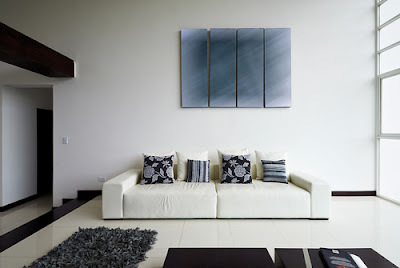 But if you feel that you do not have the skill to do these, then an interior designer can do it for you. Just ask for a quote then compare their prices. Remember, cost should not be your only deciding factor; always settle for superior service above everything.